Five Leaves Publications was set up in 1996 and has published around 200 literary, political, social history and other titles, including a strong Jewish list and books for young adults. 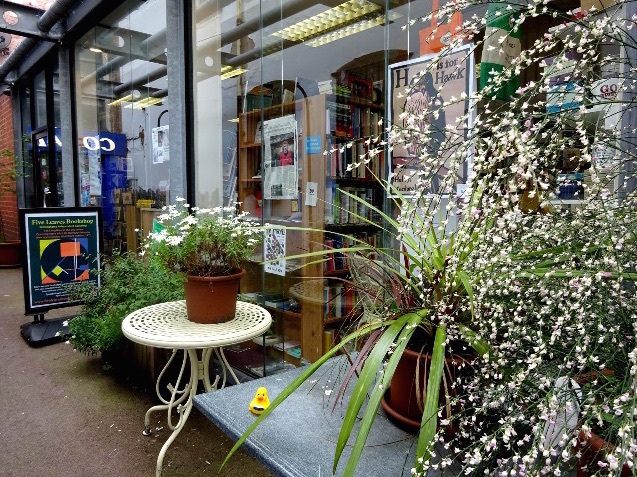 In October 2013 Five Leaves secured a lease on 14a Long Row and, in November, opened a bookshop with a strong emphasis on independent publishing. Five Leaves – which is the British Book Awards Independent Bookshop of the Year – now stocks Asylum magazine. Visit the Five Leaves website.